We travel far and wide – over 100,000 miles in 2017 – to discover up-and-coming destinations to bring you each year in our annual picks for the best places to travel. It takes us months to whittle down a world of possibilities to just a handful of cities and countries. From anniversary celebrations to little-known destinations, we’ve once again compiled our recommendations for the 18 places to travel in 2018. Whether you’re after an island so idyllic it can’t possibly be real, an adventure that will push you to beyond your comfort zone or a wine pairing meal in the world’s best wine bar, start planning your 2018 travel now with our tips. If one of those screensavers of a beach with pristine white sand flanked by towering granite boulders has taken you on a mind-drifting trip of picturing yourself basking in the sun, then head to the Seychelles for the ultimate tropical paradise. Mostly unspoiled with more than half of the total land area of the island archipelago protected, the Seychelles are the oldest mid-ocean islands on the planet. When to go: The Seychelles has year round steady temperatures around 83°F, making it a perfect destination to visit any time of the year. The wettest months are from November through January, but even in the wet months rain showers are typically isolated to a specific island and last only a few hours at most. April and May are the best months to visit for diving, when the water visibility is at it clearest and often tops 30 meters. How to get around: Most visitors to the Seychelles will visit the three main islands: Mahé, Praslin and La Digue. Mahé is the largest of the islands and while there is a network of buses that you could use to get around, a car rental is best for exploring the island. Cars can also be rented on Praslin. La Digue is much smaller and can be explored on bicycle. Fast ferries connect Mahé, Praslin and La Digue, making it easy to explore multiple islands while visiting the Seychelles. Where to stay: For a truly exclusive Seychelles getaway, head to Fregate Island Private just a 20-minute helicopter ride from Mahé. It’s one of a few islands where Giant Aldabra Tortoises roam freely, much to the handful of island guests’ delight and Hawksbill sea turtles come ashore during the daylight to nest. There’s just 16 villas, making it easy to find a slice of paradise completely your own. Of course, Fregate Island Private is an ultimate splurge. Mahé makes a great base for exploring and Eden Bleu Hotel is a good choice for being close to nightlife, many restaurants and activities. Andorra may be one of Europe’s micro-countries, but this tiny principality tucked in to the Pyrenees packs a punch when it comes to ski holidays. 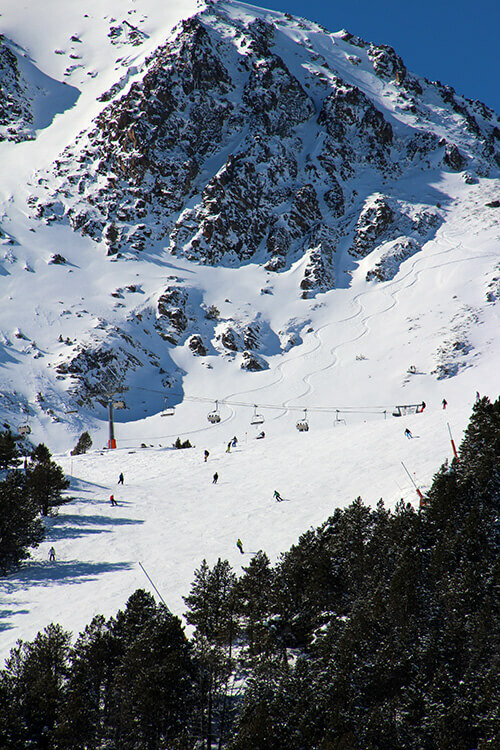 Grandvalira, just one of the ski areas in Andorra, has 210 kilometers of linked slopes encompassing six villages across the north eastern part of the country. There’s also a variety of activities like snowmobiling and dog sledding for the non-skier. Andorra’s traditional villages and soaring mountains have no lack of ambiance. And with prices much more reasonable than much of western Europe’s ski resorts in France, Switzerland and Austria, Andorra is worth heading to. When to go: Andorra has one of the largest ski areas in all of Europe and ski tourism is one of the main industries of the tiny country. Naturally, visiting during the ski season from December through April is a no brainer. How to get around: Unless you can charter a helicopter or a flight, you’ll need a car to get to Andorra. Both Barcelona and Toulouse airports, where you can pick up your car rental, are about 200 kilometers from Andorra. There are ski shuttles once you reach Andorra, but a car rental gives you the freedom to explore. Where to stay: Grau Roig Boutique Hotel is located right on the slopes of Grau Roig in the Grandvalira Ski Area. The family-run hotel is 10 meters from the lift and Andorra’s only true ski-in, ski-out hotel. Aside from quite literally being able to ski out the front door, the hotel has a fantastic restaurant serving traditional Andorran cuisine, an incredible wine cellar you can dine in and a spa for easing those tired muscles after a day on the slopes. In a city already known for its’ epic parties – hello, Mardi Gras – you can bet The Big Easy is the place to be as it turns the big 3-0-0 in 2018. It was 1718 when Jean-Baptiste Le Moyne de Bienville founded New Orleans, originally centered around the Place d’Armes. Ping-ponging between French and Spanish control, New Orleans became a part of the United States when the French sold it in 1803 under the Louisiana Purchase. And now 300 years later, the city has a lot to celebrate. The tricentennial will see Mardi Gras celebrations on crack and a year-long calendar packed with parades, events and festivities. But it’s not all just parties. The 300th is a project celebrating the revitalization of New Orlean’s historic structures, homes, hospitals, parks and roads following the destruction of Hurricane Katrina. When to go: Celebrating Mardi Gras in New Orleans is one of those once-in-a-lifetime festivities you just have to travel for. And 2018’s tricentennial Mardi Gras will be a supersized celebration. It kicks off January 6 with King’s Day fireworks over the river. Or head to NOLA for the Jazz & Heritage Festival, which culminates on the 300 year anniversary of the founding of New Orleans. How to get around: Like most American cities, NOLA is by and large a car city. But visitors can make use of the public transportation system to get around without renting a car. Just be sure to pick up a city map, since bus drivers do not announce the stops. You can also ask the driver to let you know when to get off for your stop when you get on the bus. Where to stay: Stay right in the French Quarter with a view of St. Louis Cathedral along Orleans Street. The historic Bourbon Orleans Hotel recently had a multi-million dollar renovation, making it a haven for luxe travelers wanting to be in the heart of it all. You’re definitely steps away from restaurants, nightlife and the historic sights. We’ve said it before, and we’ll say it again: there’s so much more to France than Paris. And with over 16 million tourists swarming the streets and prices you have every right to scoff at, it’s just time to skip the French capital and discover some of our other lovely French cities. Toulouse, known as La Ville Rose for the pick brinks that set ablaze in the sunlight, is chock full of character. A marriage of all the best things in France and Spain, Toulouse has beautiful architecture, multiculturalism and an excellent food and wine scene. In fact, the world’s best wine bar calls Toulouse home. Toulouse has also long been one of Europe’s most important centers of aeronautics. You can easily mix a day of touring an A380 with listening to jazz at one of the floating terraces on the Garonne River. When to go: Unlike Paris, Toulouse’s streets aren’t bursting at their seams with tourists. Where we would normally tell you to avoid Paris like the plague from May to September, this is a beautiful time to visit Toulouse. Summertime sees the opening of the plage (river beach) with loads of free events, and the guinguette (floating terraces) are the perfect place to settle in with a bottle of wine and an epic sunset. How to get around: Like most French cities, there’s an excellent public transportation system to get around. A car is unnecessary. And Toulouse is a very walkable city – just pack chic-yet-comfy shoes because cobblestones can be much harder on feet when you’re not used to them. Where to stay: Right in the heart of historic Toulouse and steps from Pont Neuf, La Cour des Counsils by Sofitel’s MGallery is the perfect base for exploring La Ville Rose. The hotel is housed in two converted 18th century town houses and is boutique sized with just 32 rooms that wrap around the central courtyard. There’s also a spa and a fantastic Sunday brunch. The world will descend upon Seoul in February for the 2018 Winter Olympics. But instead of Pyeongchang or even Seoul, which Tim really wasn’t too impressed with in his now two years of living in South Korea, he recommends heading to Jeju Island if you’re considering South Korea. 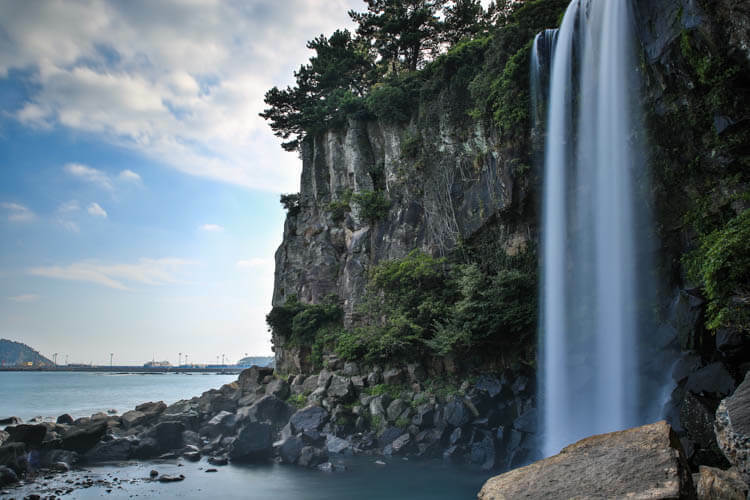 One of the top honeymoon destinations for Koreans, Jeju Island is known as the Island of the Gods. The temperate climate and volcanic rock make Jeju Island to South Korea what the Hawaiian Islands are to the US – perfect for a luxe adventure. Adventurous eaters won’t want to miss trying haemultang, a spicy seafood stew that is cooked right in front of you. And Samseonghyeol Haemultang is the best place to try it – just make a reservation or you’ll have a really long wait for a table. When to go: Avoid July and August when Jeju Island can be quite hot and humid with temperatures reaching in to the 90s Fahrenheit. How to get around: Jeju Island is actually quite a large island, but there is a public bus system that extensively covers the better part of it. Even so, our favorite way to explore freely is with a car rental. Where to stay: The Kensington Hotel Jeju is situated a short 10 minute walk from Jungmun Beach. It’s an international resort, so you can expect Western comforts. There’s indoor and outdoor pools, on-site shopping and restaurants and many attractions are a short drive away. Politics and the Trump-Russia scandal aside, Moscow is an intriguing city. Set to host the 2018 World Cup, football (err…soccer to us Americans) is Russia’s most popular sport. Russia loves football so much, in fact, that the notoriously difficult visa process has been relaxed for the 1.5 million expected World Cup ticket holders. With visa-free travel and free train travel between host cities for ticket holders, there’s never been a better or more convenient time to visit Moscow. Even if you’re not all that in to football, Russia knows how to put on a party and there will be plenty of events to keep everyone entertained. And there’s plenty of attractions like Red Square, St. Basil’s Cathedral, the Kremlin and Gorky Park to fascinate you in between all the World Cup hoopla. When to go: If you scored a World Cup ticket, you also were assigned a Fan ID. That Fan ID is like gold – it gives you the privilege of visa-free travel over the course of the tournament. For us Americans, traveling to Moscow during the World Cup from June 14 through July 15, 2018 not only means avoiding the whole sweat-it-out-while-you-have-heart-palpataions-over-receiving-your-Russian-visa process but also saves us a whopping $230 per person for a single-entry visa and visa processing fees. And not only do you save on visa fees, the World Cup announced free train travel between host cities for those with a Fan ID. How to get around: Moscow’s metro is not only extensive in delivering you all over the massive city, – there’s 12 lines serving 180 stations that span nearly 300 kilometers – but going down in to the metro stations is another world. Some of the stations are so elaborately decorated, that they’re even under state protection. The stations themselves are some of the most beautiful sights in Moscow. And though it might all sound incredibly intimidating with all those lines and navigating it all in the Russian Cyrillic alphabet, the Moscow metro is one of the easiest we’ve used anywhere in the world. Use our guide to navigating the Moscow metro to ease your worries. 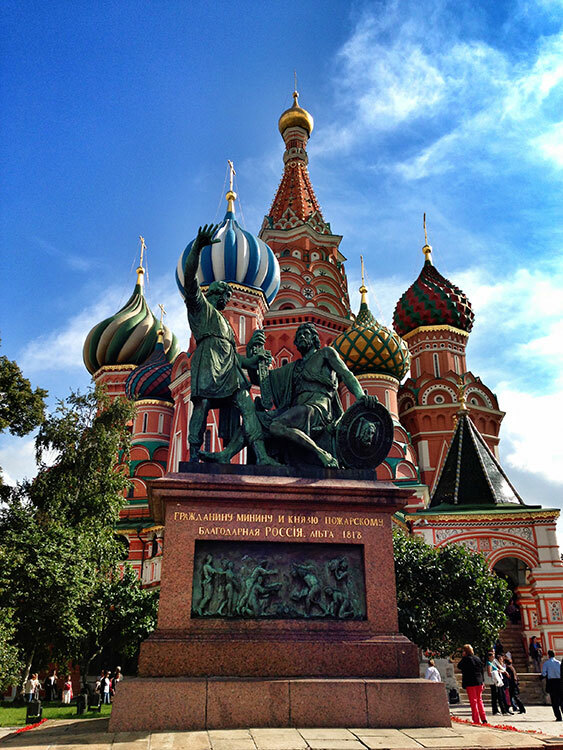 Where to stay: Photos of the colorful onion domes of St. Basil’s just don’t do this stunning building justice. And the Four Seasons Hotel Moscow, a modern replica of the legendary Hotel Moskva, has a view directly to St. Basil’s and Red Square. The 2015 Nepal earthquake not only decimated cities and caused the deadliest day to date on Mount Everest, it also decimated the much needed tourism people depend on there. But Nepal has never been more open for business and you don’t have to aspire to summit Everest to enjoy a trip there. Nepal is a leading adventure travel destination, with trekking and climbing some of the world’s highest mountains some of its main activities. But did you know that Nepal is a top white water rafting destination where Class V rapids abound? There’s also interesting cities and villages like Bhaktapur, making Nepal perfect for combining both adventure with urban exploration. When to go: If you’re heading to Nepal to do some trekking, the Ghorepani trek is one just about anyone with a reasonable fitness level can do. I did it, after all! And the best time to visit for this trek is October to November, when the weather is driest and visibility best. The Ghorepani trail is accessible year round though. How to get around: I definitely don’t recommend driving in Nepal. The roads can be absolute chaos. You’ll likely arrive in Kathmandu, Nepal’s capital, and you can take a bus to Pokhara to meet your guide. A bit more adventurous way to get to Pokhara is white water rafting your way there. Where to stay: While trekking, you’ll be tea house trekking from mountain village to mountain village. It’s basic at best. So while you have the opportunity to indulge in a bit of luxury in Kathmandu, stay at Dwarika’s Hotel. An oasis in chaotic Kathmandu, the hotel is like a history museum of Nepalese culture. There’s also a pool, several on site restaurants and a spa that will be calling your name after a multi-day trek in the mountains. There’s an archipelago of islands off of Washington State that feel a bit more European than American. Cut-off from the mainland, the San Juan Islands are free of chains. In a state where Starbucks was born, there’s not even a Starbucks in the San Juans. Here you can truly appreciate the beauty of the Pacific North West as orcas swim by and red fox play on the plains. Farmers set up farm stands with the fruits of their labor on an honor system. And a variety of chefs take advantage of the fresh fish and produce with excellent farm to table cuisine. There’s even vineyards in the San Juans. With days of kayaking, hiking and other outdoor adventures punctuated by sipping excellent Washington wines, I think we found a little haven in the US. When to go: The San Juan Islands are pulsing with life during the summer time. But the weather is still lovely and mostly dry come September. The summer crowds have mostly gone and you can find some great hotel deals in the shoulder season. How to get around: Washington State Ferries transport passengers between Washington and the San Juan Islands. The ferries can accommodate cars and you’ll definitely want a car to explore all the cute villages and state parks on these islands. 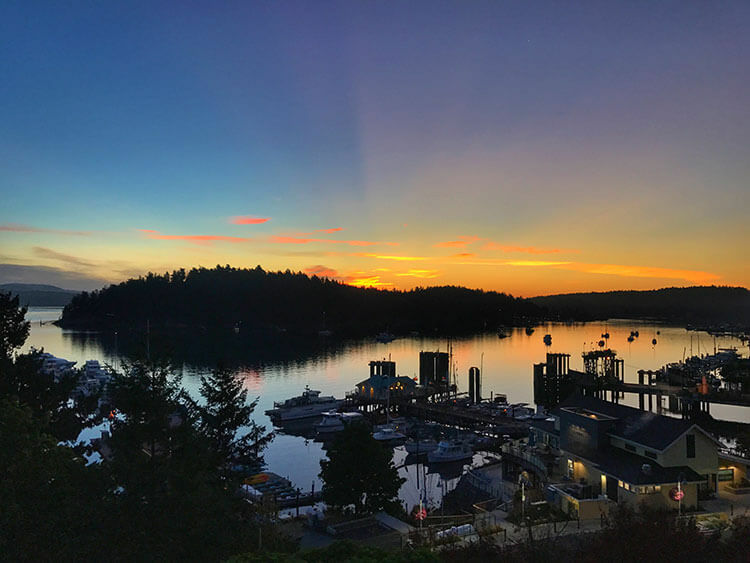 Where to stay: Friday Harbor House was one of my favorite hotels I stayed at in 2017, and that’s saying something seeing how I spent 110 nights away from home last year. This boutique hotel is situated a short walk away from the ferry in Friday Harbor. With a balcony looking over the stunning harbor and a fireplace for those cool Washington nights, the chic hotel is a romantic retreat after a day of exploring. Bristol isn’t on most travelers radars, but this city in the south west of England really should be. Once a heavy center of industry, recent years have seen Bristol reinvent itself. From boats to bridges, balloons to bikes and beer to burgers, this English city is a cultural and creative center bursting with things to do. Home of the infamous street artist Banksy, Bristol has embraced street art like no where else on the planet and even encourages it at the annual UpFest street art festival. Yet another B, renowned engineer Brunel, built the Clifton Suspension Bridge and Bristol’s number one attraction – the SS Great Britain. You can even balloon over Brunel’s bridge at the Bristol International Balloon Fiesta every August. Whew! If that weren’t all a mouthful of B’s, hop on the train and Britain’s famous spa town of Bath is a mere 20 minutes away. When to go: Tim’s been living in England for six months now, and those winters can be windy and downright freezing. Not only that, the days are pretty short with just 7 hours of daylight in the winter. Go between April and October when Bristol’s brimming with flowers and you can enjoy being out along the banks of the River Avon. How to get around: Bristol is the bicycle capital of the UK and with plenty of cycling paths and places to rent a bike, getting around on bike is a piece of cake. There’s also public buses that travel regularly to most areas of the city center and the boat ferries help visitors get to the various waterfront attractions. 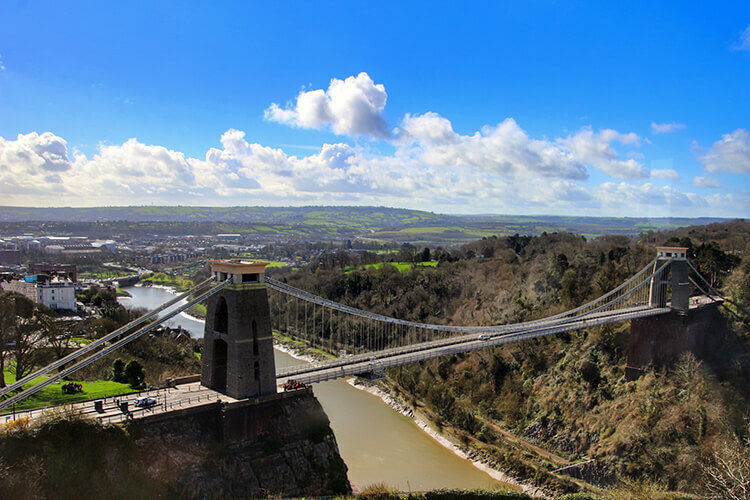 Access further afield parts of Bristol with AA Taxis. Where to stay: Mercure Bristol Grand Hotel was recently refurbished blending Bristol’s old with touches of street art throughout. Located in the heart of the Old City just steps away from St. Nicholas Market, this is an excellent pick for your base while exploring Bristol. Croatia has been on just about everyone’s radar since Game of Thrones turbo-boosted their tourism. No longer off-the-beaten-path and relatively tourist free like it was when we visited before the GOT craze back in 2012, it’s time to move a little further south to a little known gem. Well, still little known outside of Europe anyway. Montenegro has 300 kilometers of sparkling shores, breathtaking coastlines and the same Adriatic flare of Croatia but with a fraction of the tourists. The tiny country is home to Europe’s deepest canyon, where you can white water raft in crystal clear waters. There’s hiking in Durmitor National Park. And a visit to the UNESCO World Heritage listed town of Kotor for a climb up to the fortress and a look over the Bay of Kotor simply can’t be missed. With the unspoiled sandy beaches, you can expect lots of fresh fish as part of the cuisine. The mild climate is perfect for a wide variety of grape varietals like Krstač, Cabernet Sauvignon, Chardonnay and Vranac. Really, it’s a perfect destination to mix a bit of adventure, luxury and wine. When to go: Unlike Italy, France and now Croatia where the countries are overrun with tourists in summer, Montenegro is still relatively off-the-beaten-path. Cruise ships dock in Kotor, but beyond that it’s not difficult to get away from just about everyone else. Summer is a wonderful time to experience the pristine beaches, hiking in the national park and other outdoor activities Montenegro has to offer. How to get around: While there are buses, Montenegro is really best explored with a car. There are various car rental companies and the road infrastructure is very good, so you don’t have to worry about driving on poor roads. Where to stay: The discerning One & Only is opening their very first European resort this summer with the One & Only Portonovi. Nestled between the mountains and the Adriatic Sea, the resort will occupy 60 acres on the narrowest and most exclusive part of the Bay of Boka Kotorska. 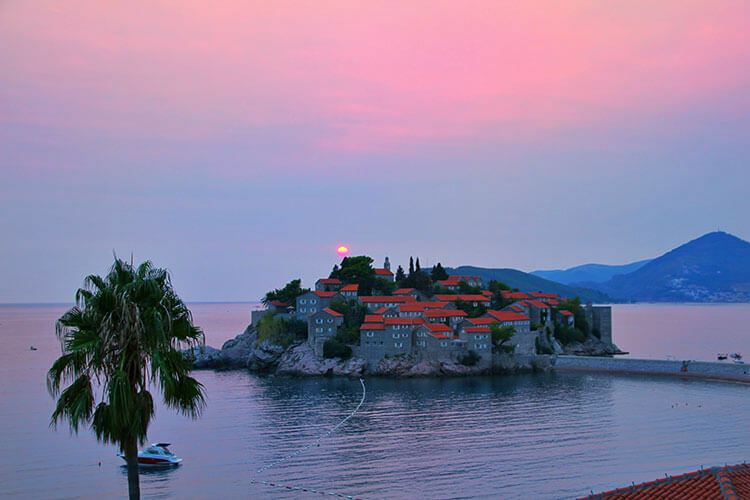 We certainly know a return to Montenegro to discover the new resort is definitely on our list. Jordan is a country we never intended to explore as extensively as we did, and that would have been a shame. While we still hold a grudge that we’ve planned and paid for two trips to Egypt yet still haven’t been there, the positive that came out of it all was 10 days exploring all around Jordan that still hold a place in our hearts as once of our favorite trips. Tourism in Jordan has actually fallen since 2011 because of traveler unease about traveling in the region. But Jordan is ranked year-after-year among the safest countries to travel to in Middle East, and we highly recommend visiting. From diving in the Red Sea from Aqaba to the mountains and desert of Wadi Rum, Jordan is a country of unbelievable beauty and varied landscapes. You’ll be in awe as you walk among the ancient Roman city of Jerash, the best preserved Roman ruins outside of Italy. You’ll be blown away by the intricately carved Treasury and Monastery at the massive site of Petra. And the truly adventurous can tackle the new Jordan Trail, which runs for 400 miles through the entire country of Jordan, linking ancient trade routes. Jesus, Moses, and Mohammed are all also believed to have walked on it. When to go: September through May is the best time to visit Jordan, when the days are warm and the nights are cool. It’s still great weather for visiting the beach, snorkeling and diving. Avoid the summer months when the temperatures can be stifling. How to get around: Many people opt to visit Jordan on a multi-day guided tour. But the road infrastructure is great and Jordan is very easy to travel independently. We rented a car and traveled all over from Amman to Aqaba and in between. Where to stay: We love the Mövenpick Resort & Spa Tala Bay Aqaba, which is situated directly on the beach and has an onsite dive shop. Don’t miss spending a night under the stars in the desert in a Bedouin camp with Rum Stars. The Mövenpick Resort Petra is situated right at the entrance to the Petra site, which is a perfect base for starting your exploration of the Rose Red City. The Fairmont Amman makes a great and comfortable base for exploring the capital, Jerash and the holy sites of Madaba, Mount Nebo and Bethany-Beyond-the-Jordan. With 21 million annual visitors, Bangkok was 2017’s most visited city. And with one of the world’s most dynamic food scenes, it’s easy to see why millions flock to the Thai capital. Long famous for their street food scene and skewered barbecued meats, Bangkok is about a lot more than rickety street food carts and uber cheap eats these days. The inaugural Michelin guide launched in Bangkok recently with an array of fine dining establishments noted, but there’s even some street food with Raan Jay Fai earning 1 Michelin star for their crab curries and omelets. When to go: Bangkok is a mostly year-round destination, though you might want to avoid March through May when it’s the hottest. How to get around: Bangkok’s traffic is notorious with gridlock happening at all times of the day and night. Taxi drivers also love to rip foreigners off. If you do opt for a taxi, refuse to ride with any driver who won’t use the meter. The Skytrain (BTS) and underground (MRT) rail systems are the fastest ways to get around and they connect most of “New” Bangkok. You can also use the Chao Phraya Express Boat to get around to older parts of the city. Where to stay: Located right on the Chao Phraya River and like its own little city within Bangkok, Anantara Bangkok Riverside is an excellent base for exploring Bangkok. There’s a free shuttle right to the Skytrain and it’s easy to reach many of Bangkok’s sights from the hotel. For a third year, The Bahamas has made our list for the best places to travel in 2018. In a hurricane season that saw 17 named storms and is on record as the most expensive Atlantic hurricane season on record, The Bahamas came out unscathed. Great Abaco is one of the largest islands in the 700+ island chain, but it and the islands that make up the Abaco Islands remain free from mass tourism. And with a well-connected ferry system, it’s easy to hop around to several islands that all have their own distinct vibe. With practically empty beaches even in the middle of tourist season and just a 50-minute flight from Florida, why not head to the Bahamas’ northern island chain? When to go: The best time to visit the Abaco Islands is from November to April, and that’s not because you probably need to escape the winter weather at home. The temperatures are a lovely 75°F during that period and the weather is typically good. June through November marks the hurricane season, and if 2017 was any indication, it’s best to avoid traveling then if possible. How to get around: Great Abaco is a massive island when is comes to Bahamian islands. Rent a car to explore around. Hop on the ferry to explore other islands and cays like Man-O-War Cay, Hope Town, Great Guana Cay, and Scotland Cay. Where to stay: Abaco Beach Resort is located in Marsh Harbour, which is the largest settlement in the Abaco Islands. The resort is located right on the beach, though you’ve got access to the airport, restaurants, shops and the ferry nearby. It seems every time we turn on the news lately, there’s another devastating wildfire blazing in California. And while Napa, Sonoma and Mendocino weathered their share of wildfires that swept through the counties and left a trail of destruction, most of the wine country’s tourism infrastructure was unharmed. The exaggerated destruction has kept some visitors away, but Napa and Sonoma are very much open for business and waiting to welcome visitors this year. As some of the wineries, hotels and businesses affected by the fire begin to rebuild, there’s no better way to show support than with a trip and spending your tourism dollars there. When to go: There’s never really a bad time to visit Napa Valley, but springtime from March through May is absolutely stunning as the valley teems with new life. Typical tourist season is from August through October, which corresponds with the harvest season, and prices tend to be a bit higher then. How to get around: Napa and Sonoma is still one of those places that it’s best to get around with a car. But for a few activities that you can book so no one gets stuck as designated driver, explore on the Napa Valley Wine Train, a Napa Valley bike and wine tour, or on the Napa Valley Wine Trolley. Where to stay: The Archer Hotel Napa is Downtown Napa’s latest boutique hotel. It opened in November 2017 and has a rooftop bar with stunning vistas of the town and vineyards beyond. Close to many tasting rooms and restaurants, whoever got stuck as designated driver can take an evening off and indulge in what you came to Napa for – the wine! France’s Limousin is a mostly rural area that forms the north-western edge of the Massif Central and lies nearly smack dab in the center of the country. The famous Limousin cattle and sheep graze on Limousin’s plains. The attractions in this tiny part of France aren’t in-your-face like the Eiffel Tower or Versailles; instead, the attractions here whisper. Tiny, sleepy villages like Aubusson where tapestry weavers have adapted their craft into modern art. Understated villages where the historic buildings house the artisans that craft hand made leather gloves for some of the world’s most famous fashion houses like Louis Vuitton and Hermès. Visiting Limousin is a combination of delicious French cuisine with the finest beef straight from the source, goods that are the absolute epitome of luxury, and nature. 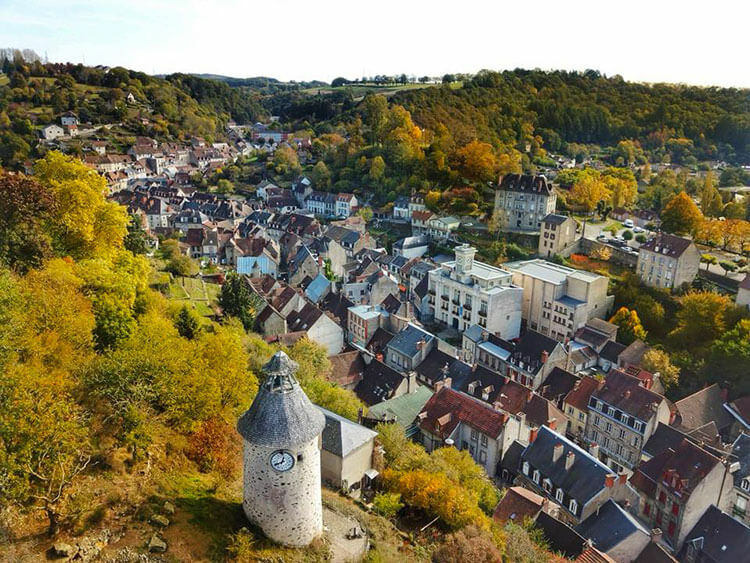 When to go: Though Limousin can be a year-round destination, we think it’s best visited from April through October when you can enjoy the hiking trails and natural attractions along with the villages and towns like Limoges and St. Junien. How to get around: Limousin’s rurality means that there isn’t much public transportation connecting the villages, though Limoge’s train station is one of the most beautiful in all of Europe. You can easily pick up a rental car right from various companies at the Limoges train station to explore further in the province. Where to stay: Limoges is the largest town in the province and the Hôtel Mercure Royal Limousin is located right in the center, with access to many restaurants, shops and sights. The La Creuse department within Limousin is easily explored from Aubusson and Hotel de France is housed in a historic building right in the center of the village. In September 2017 Hurricane Irma devastated St. Maarten and severely damaged neighboring St. Barth’s. Hurricanes Jose and Maria followed, sweeping over the islands and finishing off what little Irma left in her wake. While St. Maarten’s damage was catastrophic and around 12% of the island still remains without electricity (as of this publishing in January 2018), Princess Juliana Airport reopened for commercial flights in October 2017. 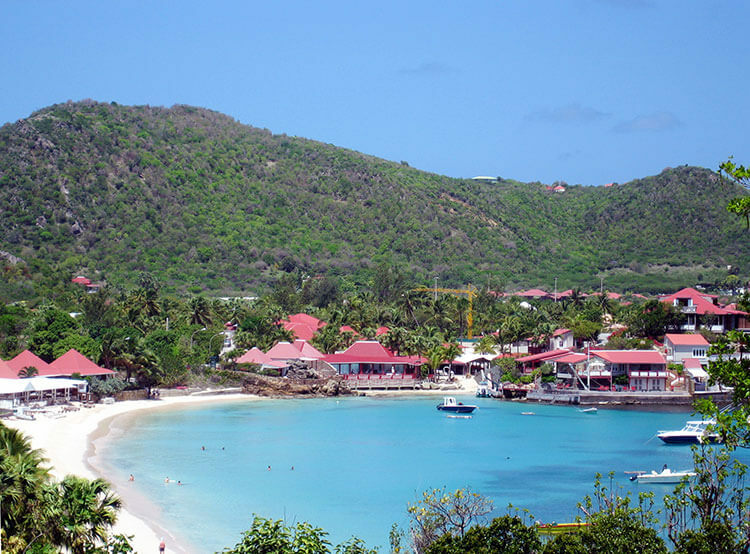 St. Barth’s recovery efforts have been much quicker with all beaches cleaned and re-opened to the public. Iconic hotels and restaurants have already re-opened or are slated to by March 2018. Jimmy Buffet, who found a Cheeseburger in Paradise while visiting St. Barth’s before he was singing about it, even gave a free concert on December 27, 2017 in Gustavia. St. Barth’s water is clean, electricity has been restored to the entire island, the roads are clear and open to all cars and ferry service from St. Maarten resumed. Now they just need the tourists to return. Like several places on our list of the best 18 places to travel in 2018, the way that you can now help with recovery efforts is to book your trip and spend your tourism dollars in an economy that very much needs it after the hardships they’ve faced these last few months. When to go: November through June is the best time to head to St. Barth’s. Particularly after 2017’s historic hurricane season, you might want to avoid the region once hurricane season begins. How to get around: St. Barth’s airport is open, though only smaller planes can land their. Typically, visitors arrive at Princess Juliana Airport in St. Maarten and then catch the ferry over to St. Barth’s. 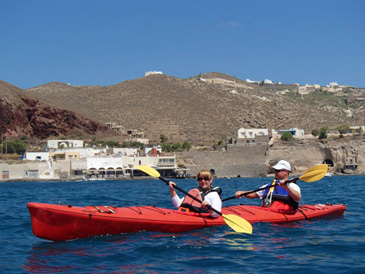 Once there, rent a car or hire a taxi to explore the entire island. Where to stay: Eden Rock is part of Oetker Collection, who also manages Fregate Island Private and that we recommend. Eden Rock was significantly damaged and they are working hard to re-open in late 2018. The Christopher Hotel re-opens sooner and is taking reservations now for beginning in March. 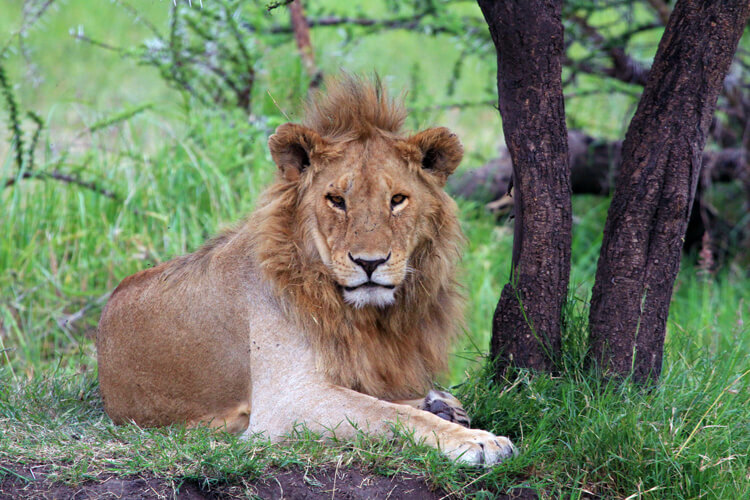 The African lion population has decreased by 90% over the last century. Poaching and trophy hunting poses a huge threat to the dwindling African elephant population. Though Trump held off on his decision to reverse Obama’s ban on bringing trophy hunting carcasses back in to the US – for now – it can be incredibly hard to care about protecting our world’s wildlife without experiencing being among it. It’s simply not possible to go on safari and see elephants, giraffes and lions, and not care about wildlife populations. It’s been five years now since our own safari in Tanzania, and yet we remember moments like watching a herd of elephants play in a watering hole or hyenas hunt a baby wildebeest as clearly as if it were yesterday. Going to Tanzania on safari is simply one of the best trips you can ever take. Make this the year you go see some of our planet’s most spectacular creatures in their wild habitat. When to go: The great wildebeest migration is one of the greatest animal migrations you can see on earth. The wildebeest and zebras follow the rains on a 2000 kilometer journey from Tanzania to Kenya, then back again. From December through April, the wildebeest can be found in the grassy plains of the Serengeti and babies are born in February and March. How to get around: Travel between Tanzania’s parks like Tarangire, Ngorongoro Crater and the Serengeti is a long and rough road. Skysafari by Elewana eliminates that with plane transfers between parks, landing right within the parks and starting your safari straight out of the plane. Where to stay: Elewana’s camps and lodges are built to be in harmony with nature. That meant we slept alongside grunting hippos, among shoe stealing hyenas and in 1000-year old baobab trees. We recommend Tarangire Treetops, Serengeti Migration Camp and The Manor at Ngorongoro. Edinburgh is the festival capital of the world, and they have a lot more going on than Hogmanay and the Fringe Festival. This year is another year chock full of events. There’s the Scottish Gin Fest where you can take master classes and taste gins from more than 20 Scottish producers in May. Just give us a couple bottles of tonic! Or maybe you want to get funky at the 40-year anniversary of the Edinburgh Jazz & Blues Festival this July. Or have a barrel of laughs at the Red, Red Rose Street Festival in January, with some proceeds of your ticket going to help end homelessness in Scotland. One thing’s for certain – Edinburgh will definitely put on a festival at some point throughout the year that tickles your fancy. And if not, the Old Town is so charming to wander around that it inspired the Harry Potter books. When to go: Edinburgh has something going on in every season. Though the cold and wind is no joke, so if you’re a warm weather creature you might want to stick to the summer months. 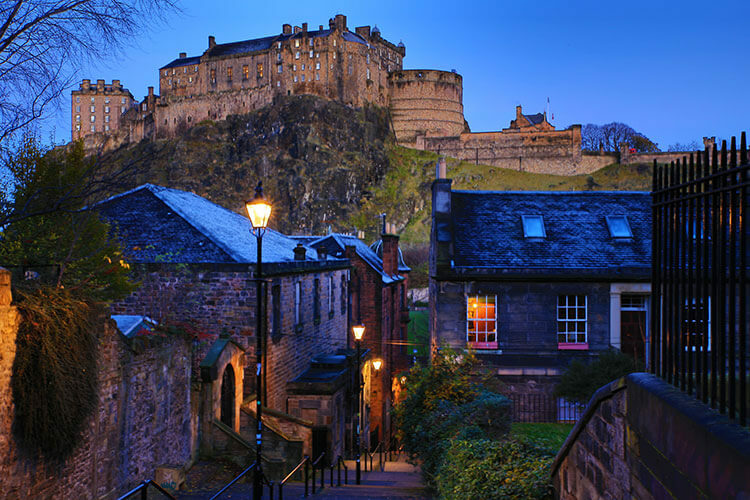 How to get around: Edinburgh is an extremely walkable city. You can go absolutely everywhere on foot. Just pack some comfy shoes, because as the locals joke, you always have to go up! Where to stay: The G&V Royal Mile Hotel is right in the heart of Edinburgh’s Old Town and boasts floor to ceiling windows with views of either Edinburgh Castle or down the Royal Mile. And don’t miss having a craft cocktail in their award-winning Epicurean cocktail bar. This article contains affiliate links. When you book on Booking.com or Viator and shop on Amazon through our affiliate sites, we earn a small commission at no additional cost to you. Craving a monthly dose of travel inspiration? Sign up for our free newsletter! Then share it with your friends! Jennifer Dombrowski is an independent travel publisher and an American expat who has lived in Bordeaux, France since 2016. She previously lived in Northern Italy in a small village near Venice for seven years where she fell in love with wine and wine tourism. She is an award-winning travel writer. She is also a travel correspondent on Traveling on the American Forces Radio Network. Luxe Adventure Traveler was named one of the top travel blogs to watch by the Huffington Post and TripAdvisor, and has been featured by top publications such as National Geographic, CNN, Buzzfeed, and Business Insider. Jennifer's photography has also been featured on publications such as USA Today and Travel + Leisure and on the Travel Channel. This is such a great list. Thinking of heading to NOLA for the first time this year! Also, had no idea Andorra existed. Thanks for sharing such great tips and destinations (especially those who need a tourism boost this year). 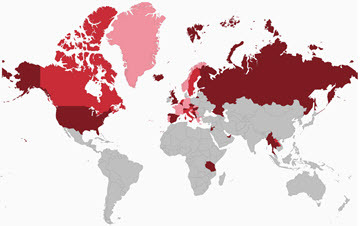 A lot of people haven’t heard of Andorra. I’m certain we hadn’t until we moved to Europe. But it’s such an interesting little country! Great list! I look forward to checking a few of these off my bucket list this year. I’ve wanted to go to Russia for so long, so that’s great to hear they’re relaxed their visa process. I’m in love with pictures of Red Square and St. Basil’s Cathedral. The visa process for Russia is only relaxed for the World Cup, which is why it makes it such a great time to go! Difficult to choose what to pick first in this great list of beautiful destinations! Montenegro has been on my bucket list for some time now, I think it’s one of the most underrated countries in Europe. As I am French, it was nice to see a couple destinations in my own country, and I haven’t even visited those!! When we told French friends we were going to Limousin, they asked why! Definitely a very underrated part of France, in our opinion. We’re looking forward to exploring that area a bit more ourselves this year. I had Seychelles on my list for some time ever since I became a PADI Rescue Diver and New Orleans for that matter. We recently moved to Florida so New Orleans is getting logistically closer. With its tricentennial coming, we should really visit for 2018. You’re practically neighbors with NOLA, so you’ve got to go now! Before we went to the Seychelles, I had in my mind – as a lot of people do – that it’s just like the Maldives. But it’s totally different and one of our favorite places we’ve been. Plus, the diving there was just beautiful. What a good mix of close-to-home (if you’re a Canadian or an American) and the exotic! Jordan — and the ancient rose-red city of Petra, in particular — is a great recommendation. We were quite blown away at the skill of the ancient Nabateans, who carved out a whole city of rock. We’d love to go on safari in Tanzania. Africa has gotten in our blood since safariing (is that a word?) in South Africa, Botswana and Zambia. So, Tanzania definitely is on our travel wish list. Totally understand just what you mean about “safariing”! We’ve only been only the one safari in Tanzania, but it was for two weeks and we loved being among the animals every day. We’ve been itching to go on safari in another country like Botswana ever since. Your list gives me travel envy! I would love to visit all of these amazing places. I’ve always wanted to visit the Seychelles and am pleasantly surprised that it’s still topping the charts and hasn’t been ruined. I’ve been to Nepal on a climb before kids but would love to go back when they’re a bit older and start them on the Ghorepani trail – sounds perfect for us. I was lucky to visit Montenegro whilst working on the super yachts and I can vouch that Kotor is definitely worth the visit! The Seychelles are incredibly protective of their nature resources. And it’s not at all crowded. I think its’ remoteness keeps mass tourism away. So yeah…I want to go to all these places! I think we should go to at least one of them together missy. Nepal is at the top of our bucket list! You’re on! We’d love to get back to St. Barth’s. It’s been too long since we were last there. This is an incredible list. There are so many places I’d love to explore on this list – Seychelles, St. Barths, and Jordan are the top three on my list. I’m equally intrigued by San Juan Islands in Washington. Had no idea this little piece of “Europe” existed in the U.S. This is one place I’m adding to my US travel plans for 2018! Thanks for sharing this inspiring list! And you’d love the San Juans for all the farm-to-table food. We ate and drank so well on our trip there! I\\\’m sad to say that I\\\’ve never been to any of these! But that\\\’s okay, it just means more places for me to consider visiting in the future! Jordan is currently pretty high on my bucket list, and so is Scotland. Thanks for giving the recommendations on when to go and where to stay. Means less research work for me when I sit down and actually start planning my trips! Glad to hear we’ve picked all new-to-you destinations! 2018 is here and we too have many travel dreams and a wishlist too. 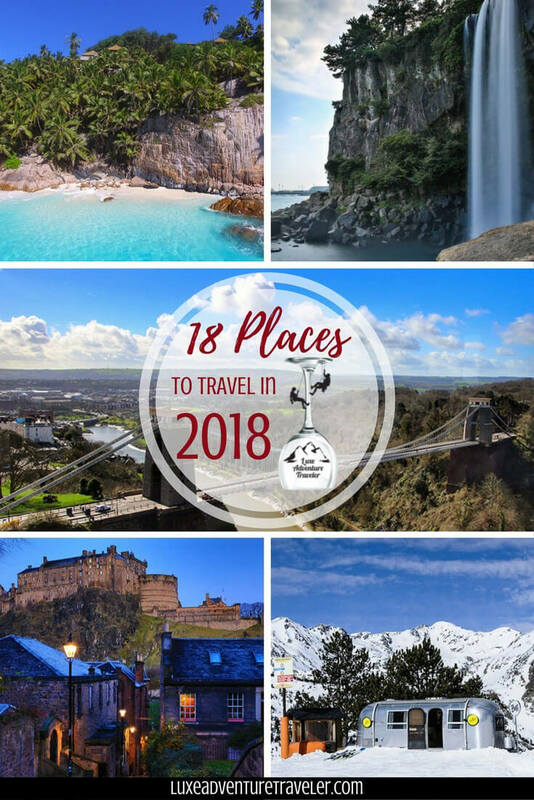 You have curated a great list of some lovely places to travel to in 2018. Though as die, hard travelers, we obviously would love to head to all the 18 places, the ones that figure prominently on our wish list are Seychelles, Moscow, Jordan, and Nepal. Hoping to see as many of these places as possible. Wow this is an amazing list to give me wanderlust for 2018. I am surely going to put put a few on my list. All places are really attractive. I wanna these places add to my bucket list and helpful information included here. Thanks for sharing. Hi Jennifer, thanks for sharing such a fabulous list of travel destinations. All the places you have shared in your article looks so perfect for visiting with family and friends. I would love to visit Andorra because I have never heard of this place before. One of the best & amazing article with a complete list of best Places to Travel. Jennifer I really appreciate your this post. You shared all basic and important of these 18 places. Get inspired with our latest on Instagram!